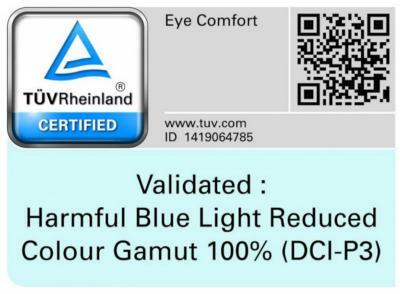 Samsung says that it managed to lower the blue light emission in its AMOLEDs from 12% to 7%. Compared to LCD panels, Samsung's AMOLEDs emit 61% less blue light. This makes SDC's AMOLEDs safer to use - but ithe displays still maintain a very high color gamut and SDC has been able to keep a DCI-P3 level of precision color imaging without reducing the number of visible colors. SDC says that it adopted this technology also for its 15.6" UHD laptop AMOLED displays, which emit only 8% blue light.